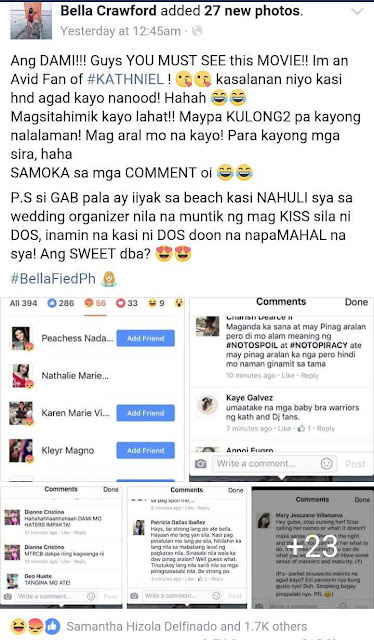 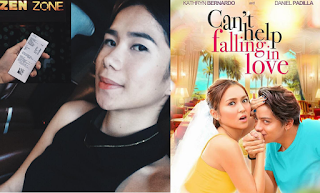 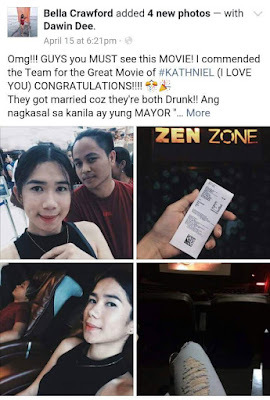 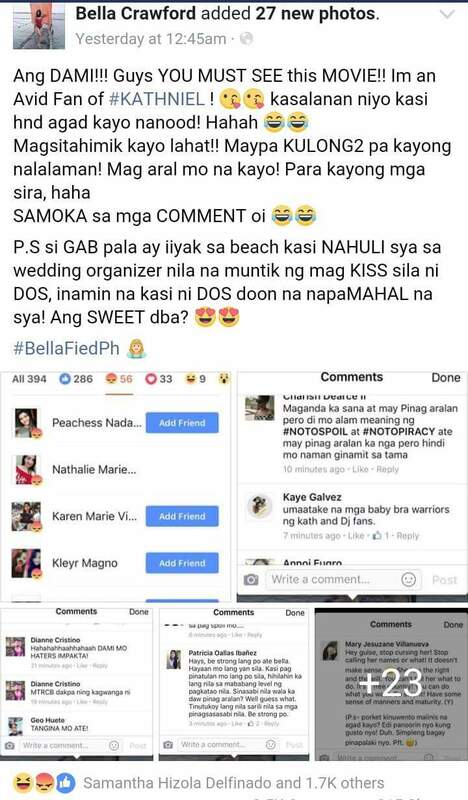 Kathryn Bernardo and Daniel Padilla's fans got disappointed, specially those who haven't seen KathNiel's latest movie 'Can't Help Falling In Love', when a facebook user who goes by the name Bella Crawford shared the entire plot of the movie. Some fans were saying that they'll not watch the movie instead because it's just like they are watching it in the big screen while others said that he might be put in jail for spoiling on social media. In response to other KathNiel fans who are yet to watch the movie, the spoiler blamed them for not watching it during its opening day.